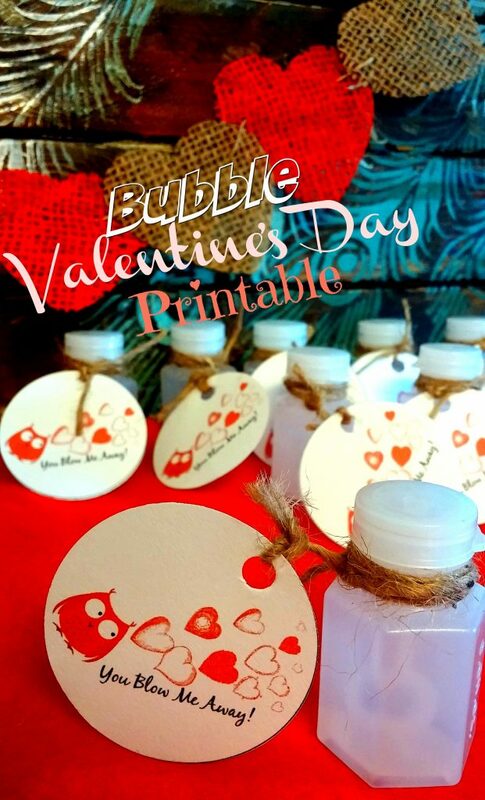 FREE Valentine’s Day Printable for Dollar Tree Bubbles! Happy Friday!! I’m so excited for the week to be over with and the weekend to begin! It’s been busy this way and tiresome I may add. 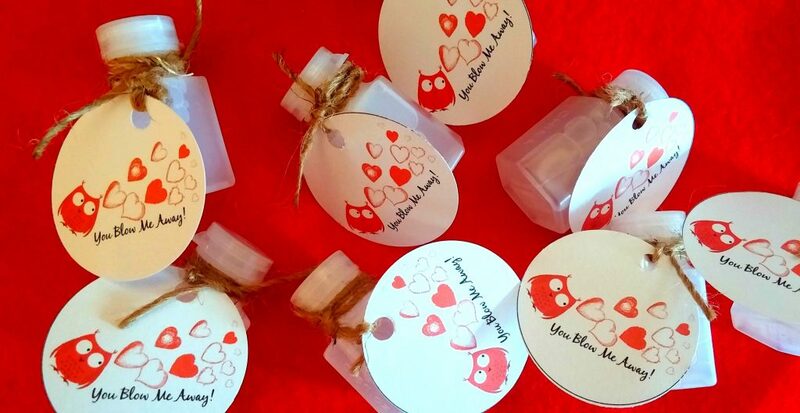 I plan on being a little creative bug this weekend and getting some more Valentine’s Day things underway. As you can see in my other post lately, I’ve been on a Printable Valentine kick (you can see my others that I’ve made recently, HERE and HERE). Today I’m sharing a printable that you can add to bubbles! Bubbles are usually a hit with kids and are a great alternative to candy and sweets. I made these 2″ around so that it is easily cut with a 2″ paper punch. I punched a small hole and tied some twine through the hole and then around the bubbles. Aren’t they adorable! I love them and the cute little owl, just standing there blowing love bubbles. I used an 8-pack of bubbles from the Dollar Tree, so if you have a classroom of around 25 then you only need about 3 packages! So these come in at UNDER $5!! I also got the twine from the Dollar Tree, they came in a pack of 3 so you have way more than enough to make these. Just click the photo below to print! You’ll get 8/sheet and it’s best that you print on white card stock. They’ll quick to get together and double as a fine motor activity if you let your little one help you tie the twine. Click the image below to print your Valentine’s Day FREE printable! I think these are going to be a hit for the classroom; they’re adorable, they’re the perfect size and inexpensive!! I hope that you love them as much as I do! Please drop a line below and let me know what you think!! Don’t forget to PIN it so you won’t forget it!